Who says old is boring? 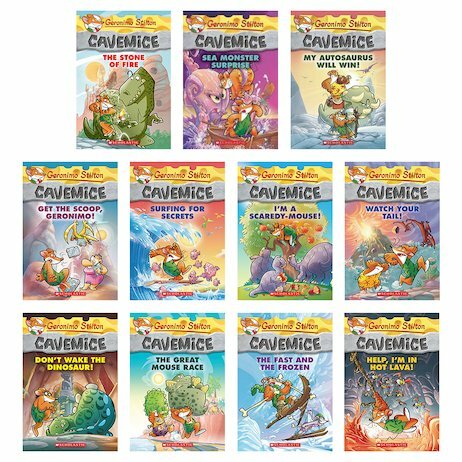 Dinos, laughs and petrified cheese: being a cavemouse rocks! Who’s even funnier than Geronimo Stilton? His Stone Age ancestor, Geronimo Stiltonoot. He runs the stone newspaper in the village of Old Mouse City, and he’s so ancient that, unlike your teacher, he really is prehistoric. All the same, this cavemouse isn’t just a fossil. When it comes to big adventures, he proves that old-timers do it best! Geronimo Stilton Cavemice #6: Don’t Wake the Dinosaur!